The study called for establishing 82 tolling gantries on Connecticut’s highways and estimated the state could take in nearly $1 billion in toll revenue. However, contrary to Bergstein’s bill, the CT DOT study tried to show Connecticut residents would pay a lower toll rate than that of surrounding states, noting the national average was 9.7 cents per mile. The 2018 study conducted by CDM Smith proposed a range of toll pricing for cars. Commuters with a CT E-Z Pass could pay anywhere from 3.5 cents per mile to 5.5 cents per mile. The rate rises for those with out-of-state E-Z Passes or no electronic pass, upwards of 11.8 cents per mile. 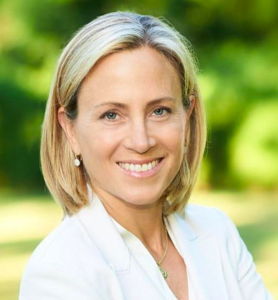 Bergstein is serving as vice-chair of Connecticut’s Transportation Committee. The tolling study shows a significant number of tolling gantries would be placed along I-95 and the Merritt Parkway, the primary traveling routes for residents in Bergstein’s district. Critics have labelled tolls a regressive tax on people who have to drive to work, and say tolls would increase the cost of living in Connecticut for families. Bergstein defeated Greenwich Republican Sen. L. Scott Frantz, who was opposed to tolls and argued against Gov. Dannel Malloy’s executive order to bond $10 million for a tolling study. The people electing these liberals are the people getting the handouts-they outnumber the working class immensely-it will never stop. If you’re not poor or rich-you have to leave. The tax in CT is already high! No toll! i’m confused. the bill is only a single page. i’m glad it’s not 100 but am a little concerned it’s Tweet length. am i missing something? It’s called a place-holder bill. The actual language gets drafted later when the committee decides whether or not to take it up. Since all of these routes have parallel routes this just going to make local traffic a nightmare. Will smartphones with avoid toll features just not going to be as successful as they where years ago. Ezpass is a nightmare for anyone with a paycheck to paycheck situation the only one who wins it the banks with over draft fees because of random withdrawals. Also over 39 mins on the phone when ezpass didn’t register properly and $50 fines if you run out of money on it and you can only put in $25 at a time. Nightmare for anyone but the wealthy. Causes a lots of anxiety for most. Sen. Bergstein either thinks she’s doing something very positive for her constituents, or she is just another tax & spend politician playing along the lines of her party’s executive directives. I agree with her in putting all transportation funds into an account ONLY to be used for transportation projects- that are useful and needed. (Cut out the pork projects of the wasted funds like the Highway to Nowhere). Try reducing the administrative costs per mile of highway ($99,000 per mile in CT, national average only $10,900!) and please don’t forget that we already receive $750,000,000.00 from the federal government for NOT HAVING TOLLS!!! Most people have not been informed correctly by your predecessors or the media. Be smarter than your peers- less bureaucracy & less taxes will turn the state around and perhaps keep our best and brightest here. Judging by the map, the new Connecticut toll system will be even more numerous and onerous than the old Connecticut toll system. Thank you, Senator Bergstein, for demonstrating yet again that Connecticut’s Democrat politicians are totally out of touch with reality, and have no solutions to fiscal problems beyond tax and spend. Incidentally, senator, how many times do you travel beyond Greenwich on your own dime, as opposed to a state expense account? Regressive taxation is inheirantly unfair. It takes DOT 8 TRUCKS and 12 men to fill a pothole. Vote Democrat and that is what you get. It should come as no surprise.We have 20 % less people in Connecticut that we had in 1980 and we have 20% more state employees that is the Demcratic way. We need to reduce spending not increase income.The country and Connecticut are experiencing great growth but that will not last especially if the Democratics regain control of the white house . And the voters followed lock step to have another democratic governor. I wish the country would pay attention to our little state and see what all the hand outs entitlements , sanctuary cities cost the ct taxpayer. CT Tax Freedom Day is already the last in the USA, tolls are an additional TAX. CT has lost over $8 Billion in taxable incomes…..the Rich are leaving. Jobs in CT are still below 2008 levels, no growth! Isn’t happening due to over TAXATION! Makes you wonder …. as the USA cuts taxes and reduces regulation and the results PRODUCED a thriving 3.5% GDP …. when will the taxpayers & CT legislators vote for Cutting Spending? Just another stupid democrat. Can’t understand stop the spending. Of particular note is the statement that “…tolls would help subsidize mass public transportation to New York.” In other words, the wealthy lawyers and Wall St. hedge fund managers who live in the southwest corner of CT would be whisked to and from their NYC offices that much faster at the expense of the rest of the residents of the state. How convenient for them. Why stop with tolls? Why don’t we just subsidize them with private helicopters? This will end up like the temporary income tax. The rates and locations will never stop increasing. CTDOT will blow the money on surveys and useless studies. When will the people of CT learn! ENTRANCE FROM rT 34 IN dERBY TOP THE Derby Milford rd, (that sidewalk to nowhere was over $80,000.00 dollars; drive Rt 80-cli;nton, madi;son, killingworth etc and see the various go- arounds with brick sidewalks. The DOT is a major problem in Ct. with their enormous pensions, idiot workers, and overpaid commissioners. So much for being a different type of Democrat.